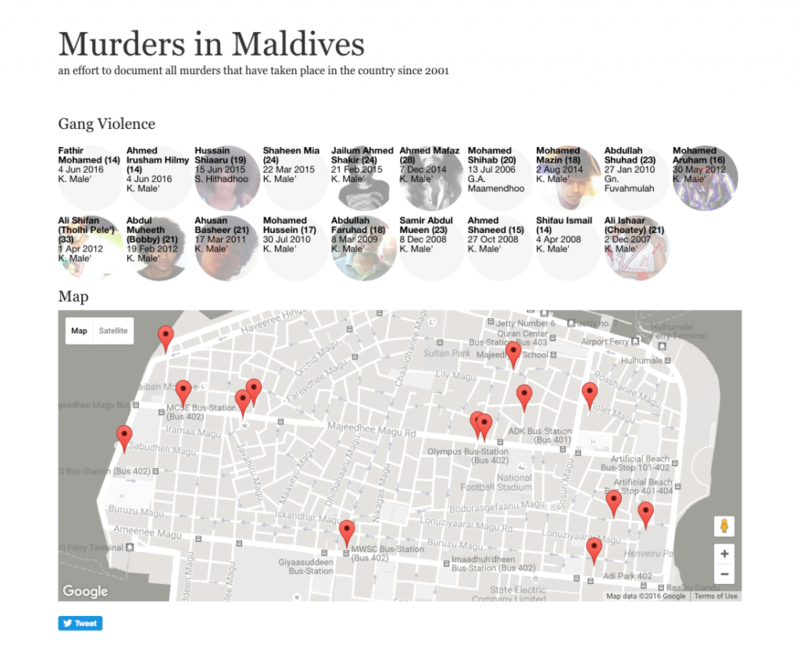 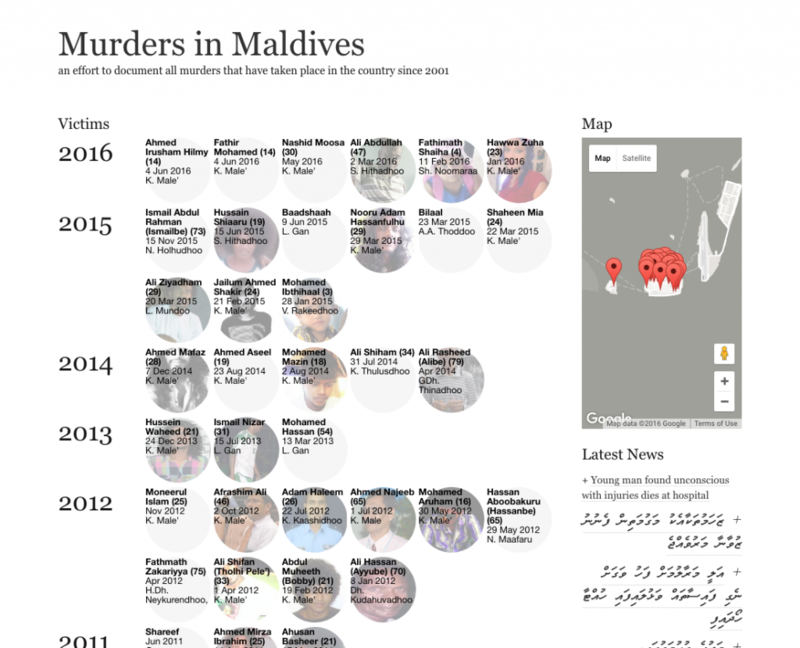 The Maldives has seen a steady increase in murders in recent times, to the point where the phenomenon is now a normalized part of Maldivian society. 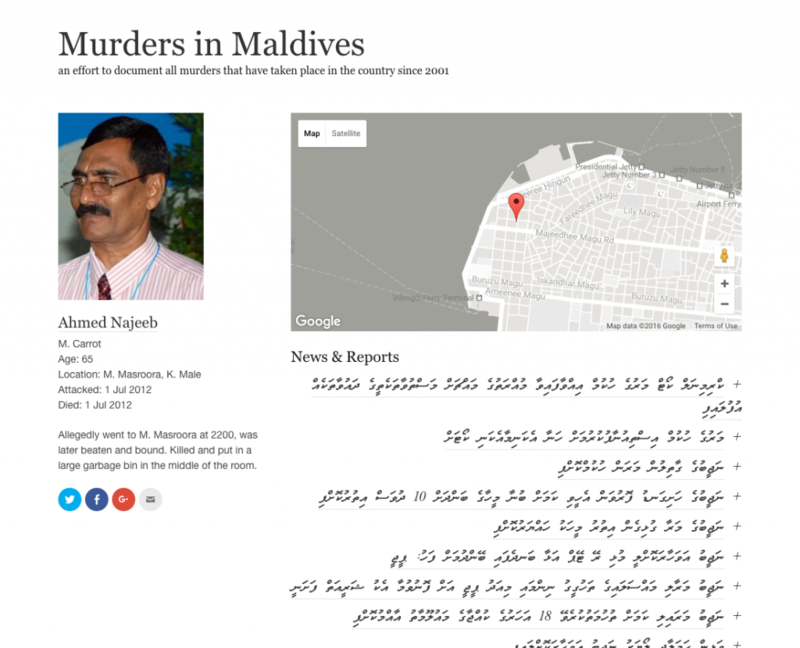 mvmurders.com is an attempt to accurately document all murders that have taken place in the country since 2001. 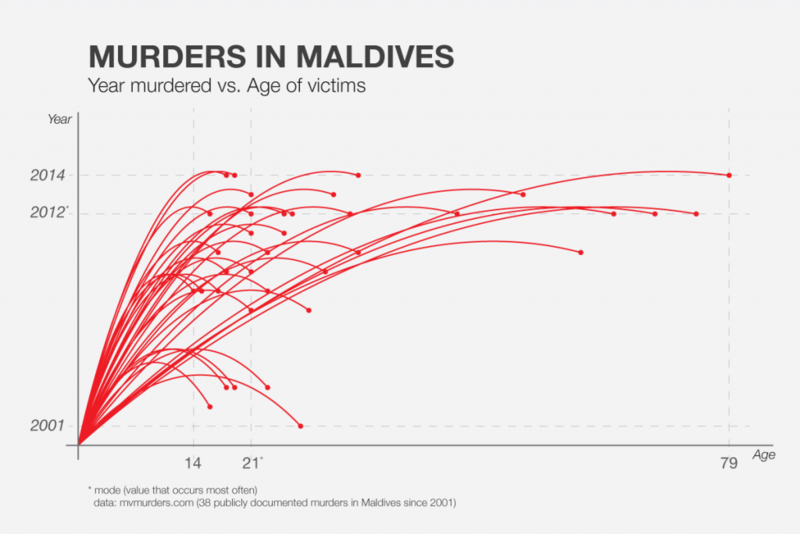 It is an effort undertaken in the hopes that the research will assist NGO’s, Governments and law enforcement agencies in addressing this alarming trend.